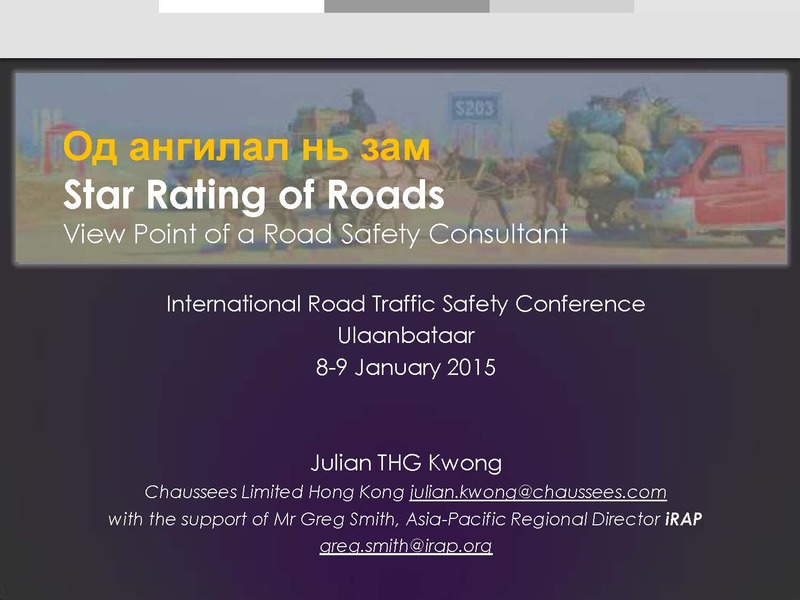 At the invitation of Mr K.K.Kapila, Chairman of the International Road Federation (IRF) Geneva, CRS chairman Julian Kwong and Member Micah Woo participated in the International Road Traffic Safety Conference at Ulaanbataar, Mongolia on 8th and 9th January 2015. 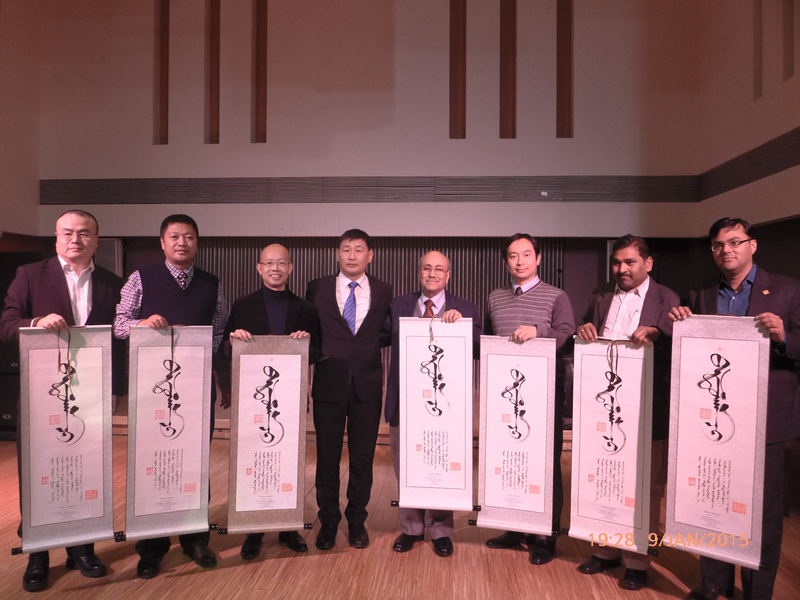 The conference was co-organized with the Mongolian Road Association. 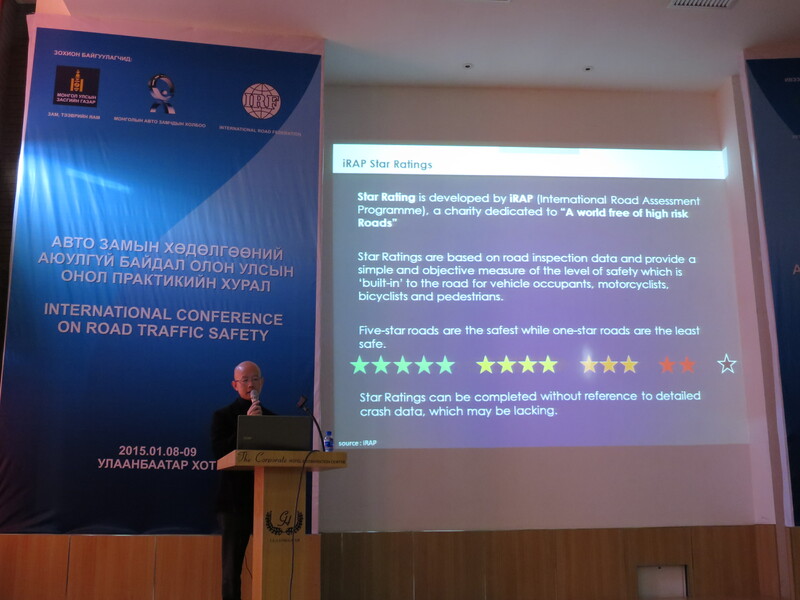 Julian made a presentation with the title "Star-rating of Roads- Viewpoint of a Road Safety Consultant". Micah gave a presentation with the title "Road Safety Characteristics in an Urban and Suburban Environment- the Case of Hong Kong". Both presentations received much interest from about 100 audience coming from the Mongolian road sectors. Current annual road fatalities in the country stand at 600 for a population of 3 million. 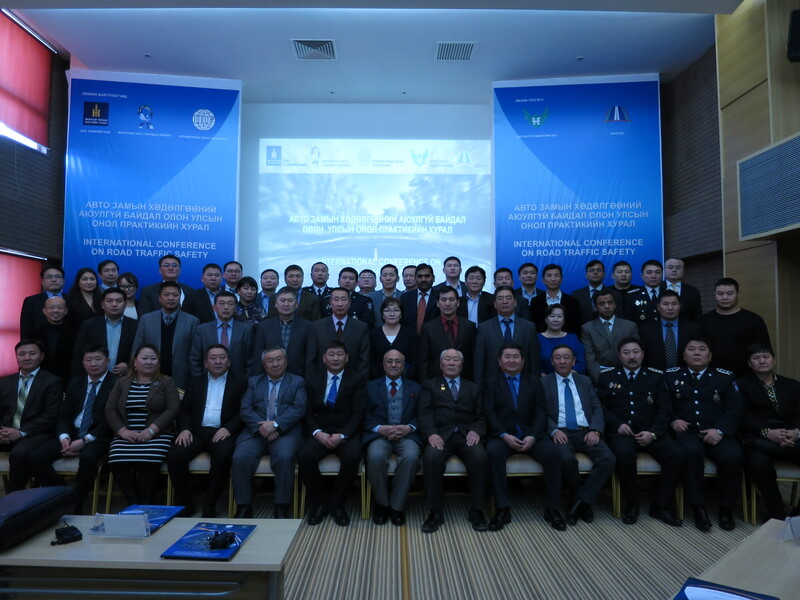 As Mongolia is undergoing rapid expansion of its paved road network, road safety has become an urgent issue to address. 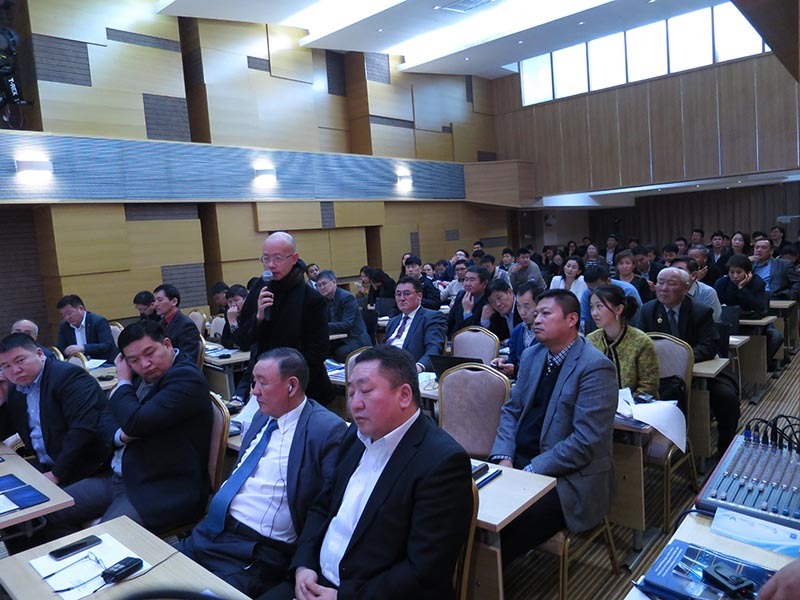 The conference enables CRS to further exchange road safety knowledge and experience with Mongolian authorites, engineers as well as IRF.